I just read an article where the author introduced to me daily affirmations in the form of questions rather than statements. I personally see how this could make sense but still believe firmly in the power of daily affirmations in the form of statements as well. If using this strategy seems more comfortable to you then all you’ll have to do is change your statement into a question and recite it to yourself the same way you would normally. For example, if one of �your affirmation is – I lead a very productive life you could change it to – Do I lead a productive life? This will get your mind thinking about how to better attain this goal or desire and get your creativity flowing. Which method is more comfortable to you? Don’t be afraid to make your own list tailored to your own thoughts and desires as well if these don’t resonate perfectly with�you. 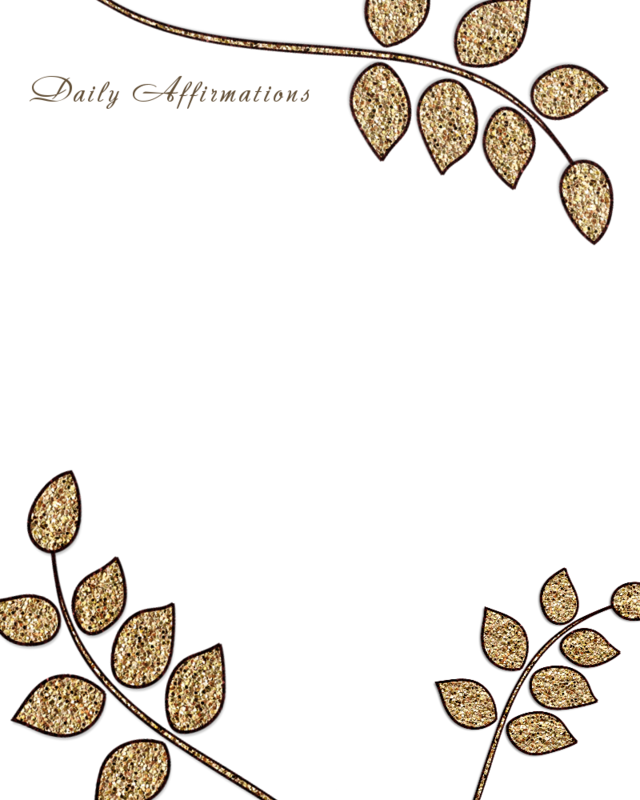 What method do you use to recite your daily affirmations? Do you keep a sheet of them near by, perhaps that is a new idea for you to try. Stick them in a notebook you often go to or pin them to a memo board near where you spend a lot of your time.